Trapezoidal shaped table perfect for classrooms in schools, pre-schools, nurseries and playgroups. It comes in 4 heights to suit different age groups. 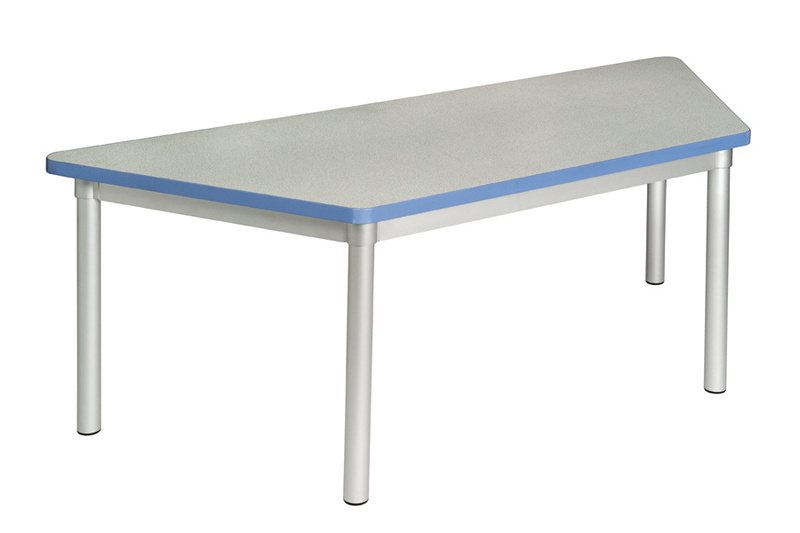 This table has a lightweight aluminium frame and legs but is still robust and stable. It is delivered flat packed for easy self assembly. 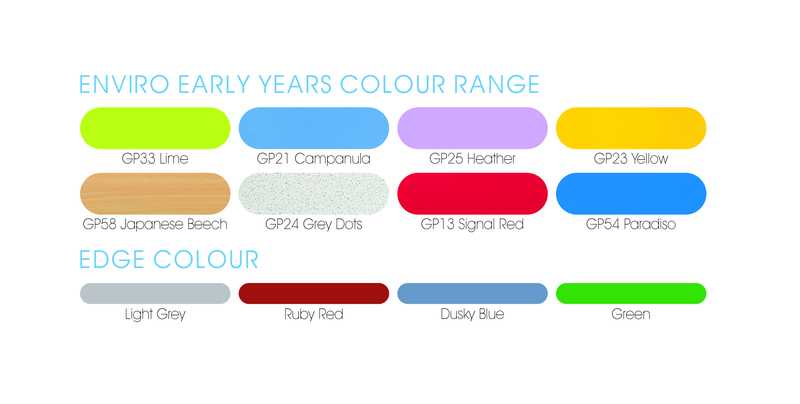 The wipe clean tabletop is available in 9 bright colours with a choice of 4 contrasting edge colours to choose from. The trapezoidal design will work great on its own or you can put two tables together to create a hexagonal work space.